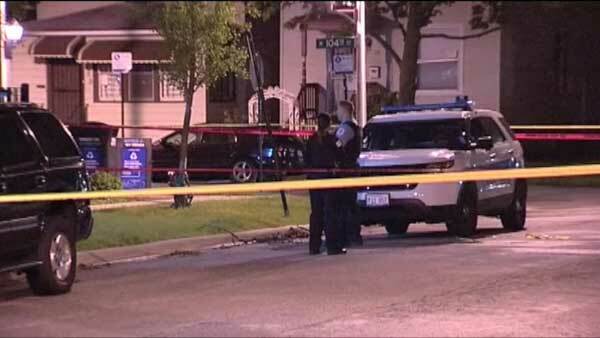 CHICAGO (WLS) -- A man died after stabbing two men in a Far South Side home, police said. Police said the incident occurred around 9:20 p.m. Thursday at a home in the 300-block of West 104th Street in the city's Fernwood neighborhood. After a verbal altercation, investigators said the 57-year-old man stabbed two other men inside the home and fled. An 85-year-old man was stabbed in the chest and a 56-year-old man was stabbed in the chest, hand and lower right leg, police said. They were taken to Advocate Christ Medical Center, where they are listed in stable condition. Officers found the man unresponsive a short distance away from the house near 103rd and Princeton, where he was later pronounced dead. The cause of his death is unclear. Police said he was not stabbed or shot. Police said all three people knew each other. The investigation is ongoing.